This high-resolution view shows, at left, a spiral density wave in Saturn's inner B ring. A spiral density wave is a spiral-shaped massing of particles that tightly winds many times around the planet. 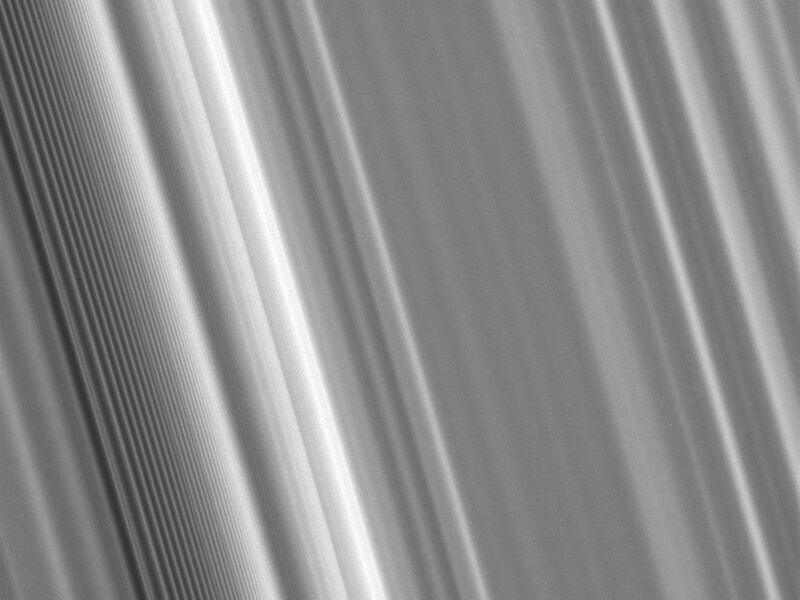 These waves decrease in wavelength with increasing distance from the planet. Scientists use images like this one to understand the mass of the rings and the collisional dynamics of the ring particles. 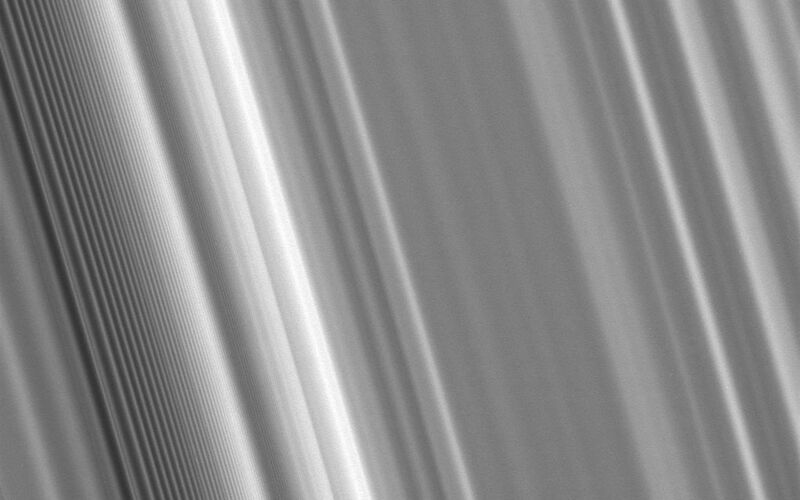 The view looks toward the sunlit side of the rings from about 50 degrees below the ringplane. 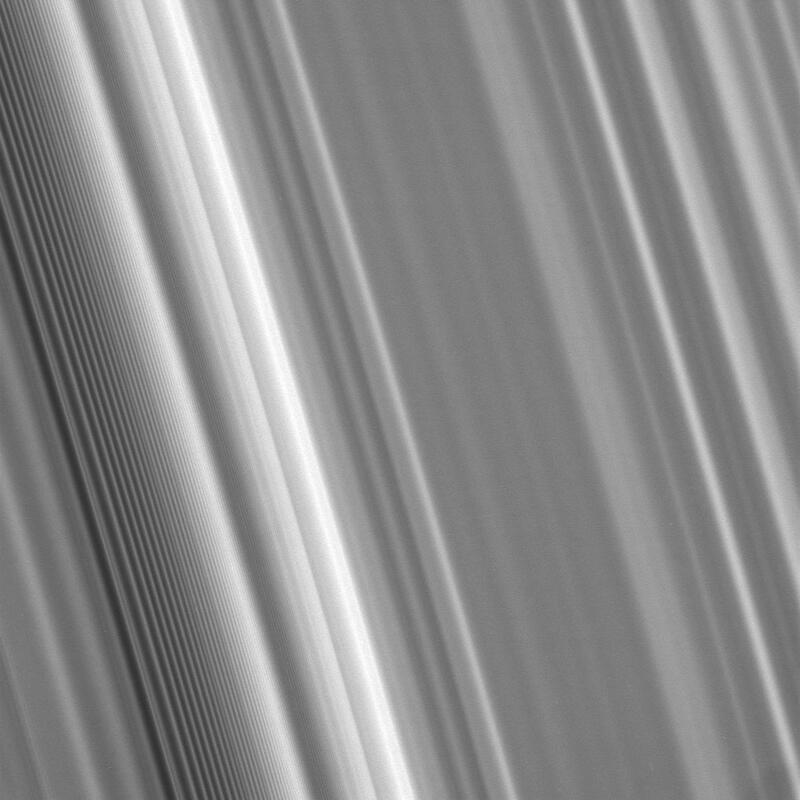 The image was taken in visible light with the Cassini spacecraft narrow-angle camera on May 10, 2008. The view was obtained at a distance of approximately 279,000 kilometers (173,000 miles) from Saturn. Image scale is 1 kilometer (0.6 mile) per pixel.